A1 Panels are easily joined together via their male and female connection. 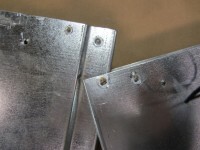 Each panel has two connections that interlock and create and an almost seamless joint, Providing superior Insulation and stability. We know that every need is unique, that's why we offer specialty installation of almost any accessory, ventilation, or lighting. If you have a question about our products or limitations, give us a call! Reduction of curing time by up to 30%. 25% in total curing costs. Reduce the loss of applied coating. Eliminates any cold spots inside the oven. A1’s Insulated Structures are designed by you and are MFG by A1 Walls insuring you get the exact size structure you need. We $ave you money by creating a structure that can be quickly and easily installed using our panels interlocking design. For instance, a typical 11’ft x 8’ft x 4″inches thick wall and can be installed in less than 30 minutes. 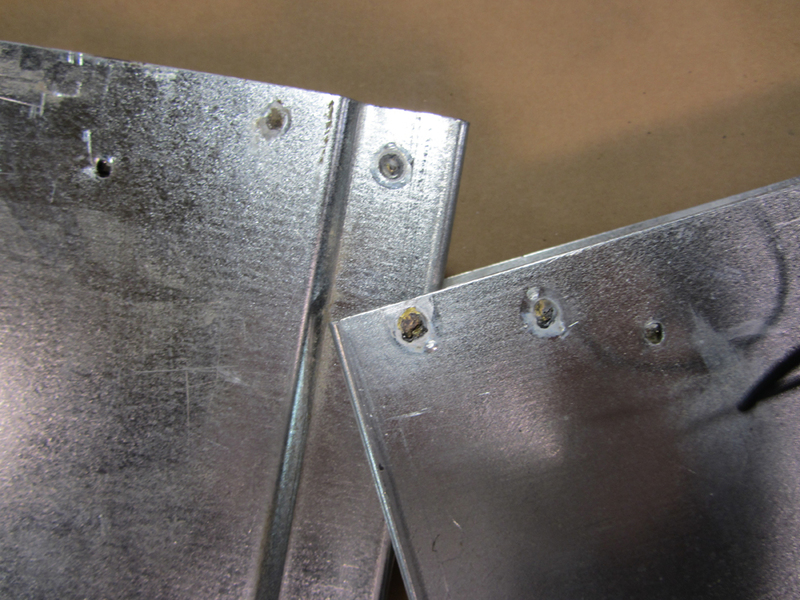 Our metal insulated panels can be purchased for less than you think and are built to withstand temperatures up to 500°. We offer the most affordable insulated metal structures in the southeastern US. Nationwide. So who uses insulated metal panels and for what? Well, our clients have found endless uses for our panels. 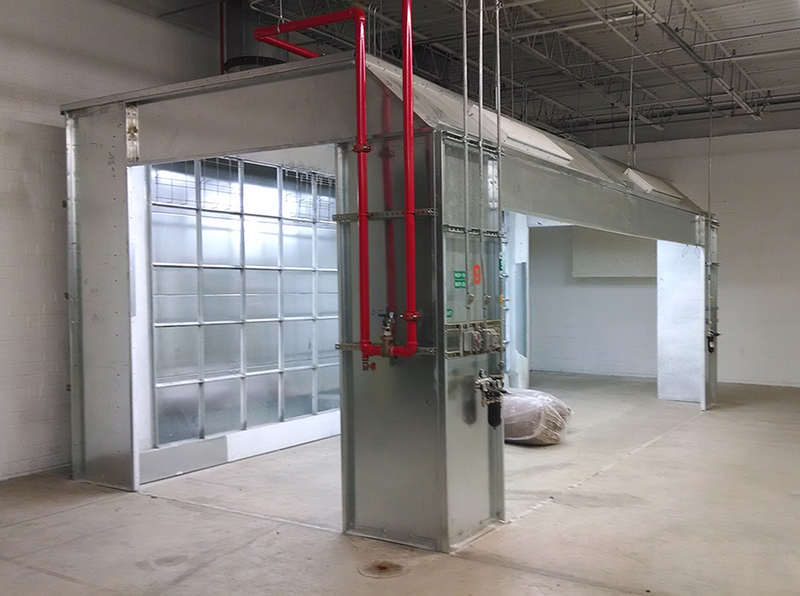 We also MFG custom Paint Booths for the industrial industry. 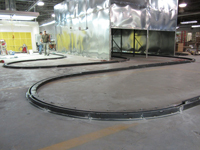 A1 Walls also offer a heavy duty floor Track System. 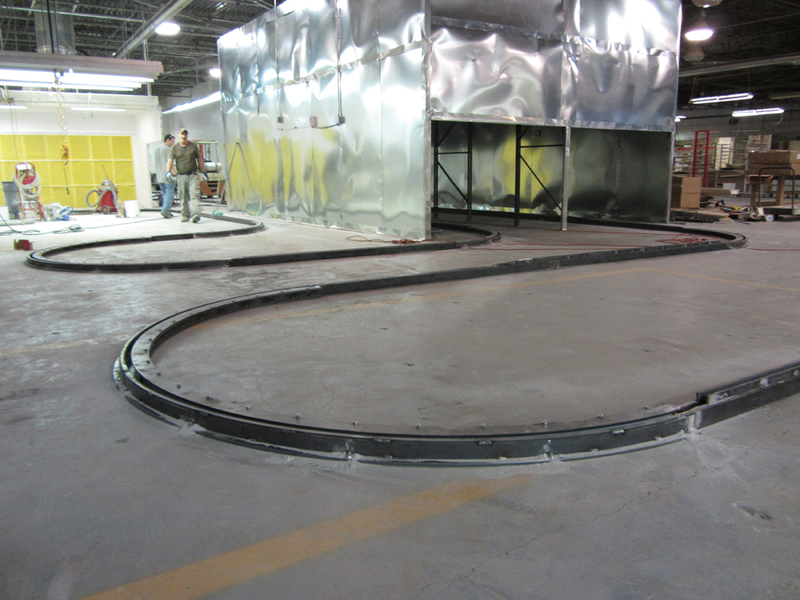 Track line is secured to the floor with a motor driven chain that pulls carts along the desired path. 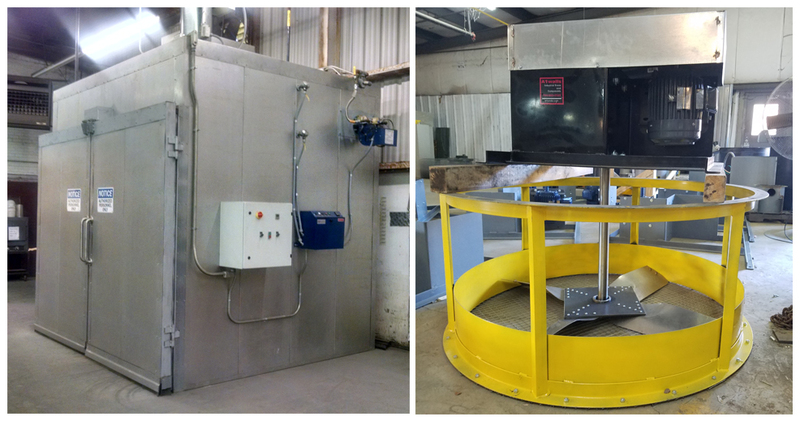 This particular track system is idea for safely and efficiently transporting product throughout your facility with a variable speed drive section. This track system is extremely strong. One system will convey carts with a pay load up to 950 pounds. Each system has a max length of 900 fts per each 5 H.P. drive section. 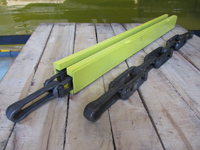 Like all A1 Walls products, these floor track systems lay on the floor and anchor down. Simple and fast. If you can read tape you can install it. Save up to 25% on purchases and 50% on installation doing it your self and all drawing and instructions are supplied.